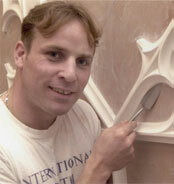 Plasterwrx is a specialist solid and fibrous plastering company established in 1995, providing a professional plasterworks service nationwide for domestic and commercial installation and refurbishment of decorative plasterwork. We also offer a supply only service to private and trade customers. Specialists in restoration projects and plaster modelling, from a few flowers and leaves to much larger and complex work, such as damaged fully panelled ceilings with plaster cornices and ceiling roses. 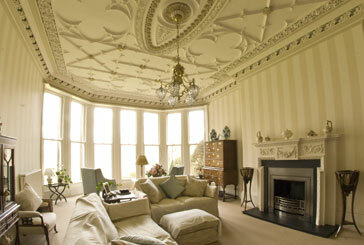 Larger than standard cornices are also available to complement large rooms or particularly high ceilings. If you do not see the item that you are looking for on our website, new and original designs can be created. Please call me on 07973 416072 if you would like to discuss a project or arrange a meeting for a quotation, where I will be happy to bring along samples of any products that you have in mind. Alan Graystock - Managing Director.